North Korea has almost completed rebuilding a long-range rocket site it had promised to close, Seoul lawmakers told reporters Friday after a closed-door meeting with South Korean intelligence officials. The claim comes a month after a second summit between US President Donald Trump and North Korean leader Kim Jong Un in February ended without an agreement, deepening a gap between the two on how to achieve “complete denuclearisation”. Shortly after the end of the Hanoi summit, a series of satellite images emerged suggesting increased activity at the North’s Sohae rocket site, triggering an international alarm that the nuclear-armed state might be preparing a long-range or space launch. “The North began rebuilding the centre, which was partly dismantled last July, before the North-US summit in February,” lawmaker Kim Min-ki told reporters after the closed-door briefing by the National Intelligence Service. “The work is almost complete with some maintenance activity being underway,” he said. North Korea has been banned by the UN Security Council from carrying out space launches, as some of its technology was similar to that used for intercontinental ballistic missiles, or ICBMs. But earlier this month the Washington-based Center for Strategic and International Studies (CSIS) said there was “deliberate and purposeful” activity going on at the Sohae rocket site. Friday’s latest assessment by Seoul could suggest a reversal in policy by Kim, who agreed to shut the Sohae site at a meeting with South Korean President Moon Jae-in in Pyongyang last year. Experts have warned a launch of any kind would send the stuttering talks on denuclearisation into disarray. Moon Chung-in, the presidential special advisor on national security, said the outcome would be “catastrophic”. The nuclear-armed state is also “operating uranium enrichment facilities” at its Yongbyon nuclear complex, the lawmaker added. In the aftermath of the Hanoi summit, Pyongyang and Washington have both sought to blame the other’s intransigence for the deadlock. 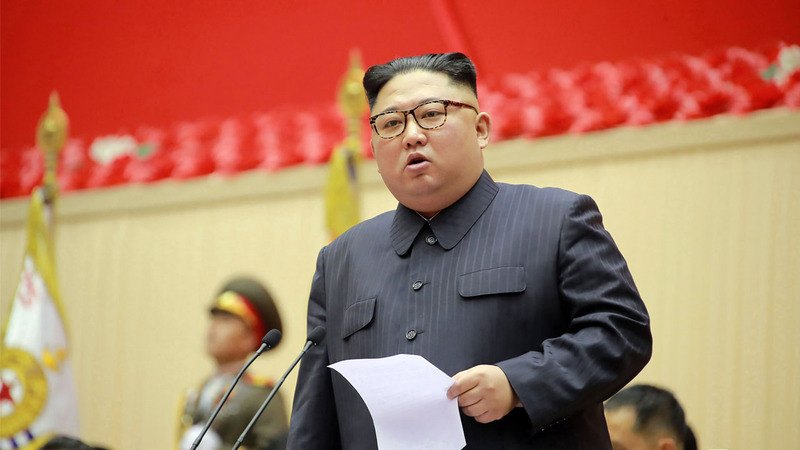 Pyongyang said it had proposed dismantling the Yongbyon complex — a sprawling site covering multiple different facilities — in exchange for the lifting of economic sanctions that have strangled and isolated the North. But US officials have said it was not clear exactly which facilities at the Yongbyon complex the North was willing to give up, while Trump has said that “the weapons themselves need to be on the table”.